Company overview | JM Engineering Service Co., Ltd.
JM Engineering Service Co., Ltd. was established in 2014 to provide high-quality technical services while putting safety first. We engages in operations that contribute to stable production of semiconductors, operations such as maintenance-technology operations involving maintenance of semiconductor-manufacturing equipment, cleanroom-environment management that maintains and improves a clean and safe environment in production areas, and engineer-service operations that provide clients with technical expertise. In order for us to offer these operations at world-class manufacturing facilities in the form of high-quality technical services that put safety first, human resources are indispensable. We are focused on training engineers, and we have established at our company an educational environment in which exclusive trainers provide technical guidance. In addition, because our company belongs to the corporate group headed by JAPAN MATERIAL Co., Ltd., we aim to provide products and services of a quality that exceeds our clients’ expectations. We aim not just to build win-win relationships with clients on the basis of deep mutual trust, but also to build relationships that will enjoy the constant support of our business partners and the community, creating “win-win-win” (triple win) relationships in which each one of our employees grows by simultaneously competing and cooperating. In the future, we will continue to support manufacturing by contributing to the production of semiconductors, and will strive to continually improve the technical skills that are a link to the next era. Founded as a company within the group headed by JAPAN MATERIAL Co., Ltd., which is listed on the First Section of both the Tokyo Stock Exchange and the Nagoya Stock Exchange. Began operations in cleanroom-environment management services. Began operations in maintenance-technology services (maintenance of semiconductor equipment). 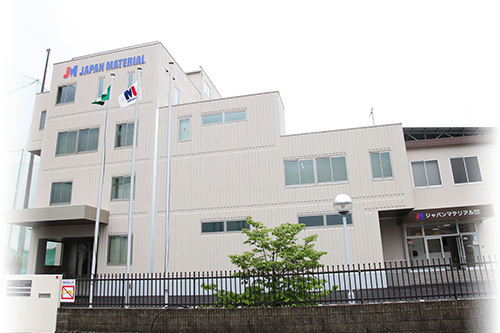 Started providing specialized technical services at the semiconductor plant in Mie Prefecture. Started providing specialized technical services at the semiconductor plant in Oita Prefecture. Started providing specialized technical services at the semiconductor plant in Yamagata Prefecture. Established a technical training center at the headquarters in Mie Prefecture. JM Engineering Service Co., Ltd. Maintenance operations related to semiconductor-manufacturing equipment. Copyright©2017 JM Engineering Service Co., Ltd. All Rights Reserved.